Dual Zone turf construction which is created with both a grass and root zone. Our Ultra Golf Mat is unique in its Dual Zone turf construction which is created with both a grass and root zone. The root zone is made from 6-6 nylon and creates a dense layer that offers support to the taller grass zone. The grass zone is made from polyethylene and is designed to allow the club head to move through the turf freely. 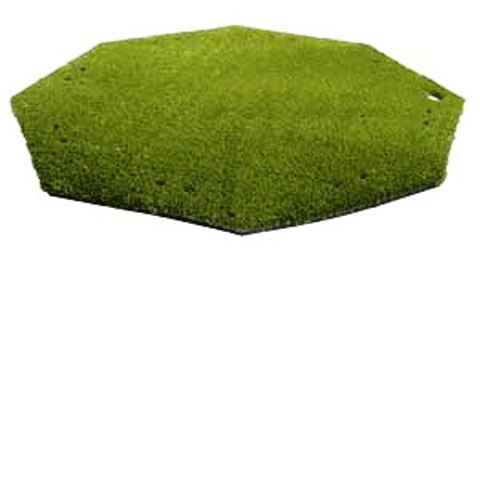 This mat offers a very realistic hitting surface that feels like real grass. Excellent practice aid. It is used on driving ranges and golf gourses worldwide. 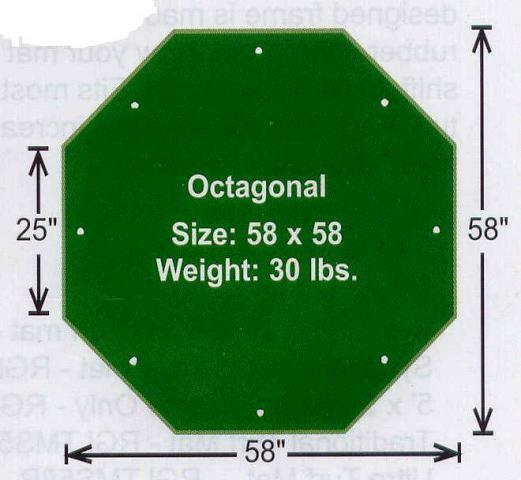 Also available in 58 inch square shape and traditional 5/8" with no root zone at our TJB-INC Store.